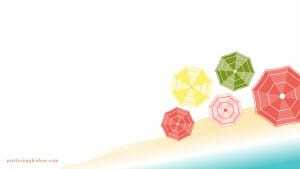 *This post contains affiliate links which means I may make a small commission if you make a purchase through one of my links but it won’t increase the cost for you. For many of those people, God granted them a beautiful sunny day. And I’m happy for them. But you don’t want to be the one person who doesn’t have a backup, and your wedding was ruined. 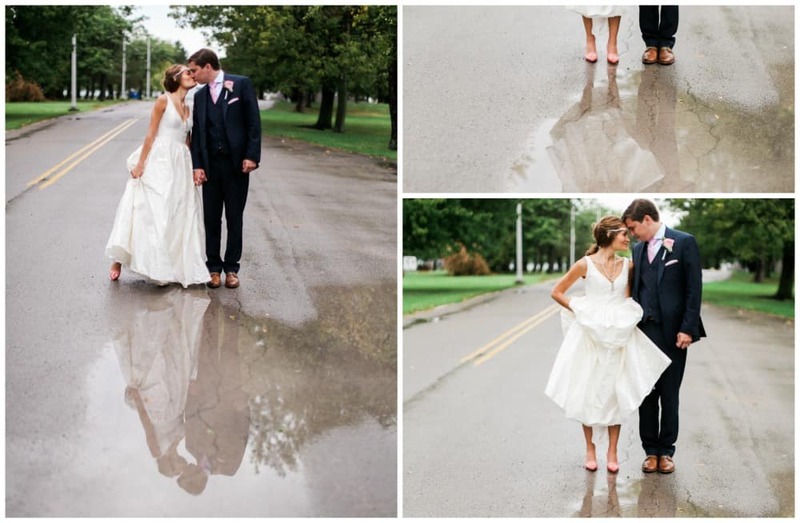 Guys, it rained on my wedding day. And it was ironic. I really did think. BUT, we had a backup plan. I already decided to move dinner indoors (sad face) just to be safe. I had dreams of beautiful tables overlooking the lake but it just wasn’t practical. We had a backup plan for the ceremony too but thankfully God stopped the rain for exactly 45 minutes to have our ceremony outside. More of that later. RELATED: Want to save money on your wedding too? Here are 10 Ways to Save $1,000 On Your Big Day. If you went to an outdoor wedding what are some things you would like to see to protect you from the elements? 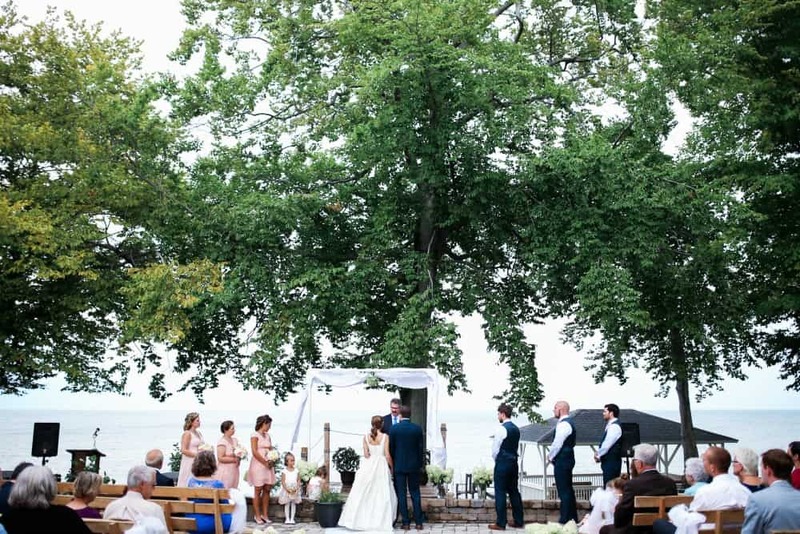 If your wedding is in the heat of the day it might be nice to provide fancy umbrellas for the guests to sit under, or even provide ponchos for each guest to cover themselves with. If it’s hot you might want to think about providing pretty paper fans for your guests. If there is a chance your wedding might be cold for your guests, think about providing heating lamps or even cute blankets that can double as your wedding favor. Also, I’ve heard of people passing our SPF and bug spray. Thoughtful. If your wedding is outdoors you will want to mention that in your invitation. That way people do not wear their formal dresses, but instead, something more fitting for the occasion. It also gives women a chance to wear flats or wedges to more easily walk on uneven or grassy terrain. Another thoughtful thing to do is provide cheap flip-flops for those that end up wearing heels. I ended up wearing heel protects on my shoes to more easily walk around, another option to offer to your guests. I’ve seen a lot of women throw their wedding together with bits and pieces of what they like with no thought to the overall picture. My suggestion – for any wedding – is to come up with a theme and pick four colors that match that theme. It will make all your other decisions so much easier – trust me. And if you have a wedding outdoors – Spoiler alert – part of your theme was already chosen for you. 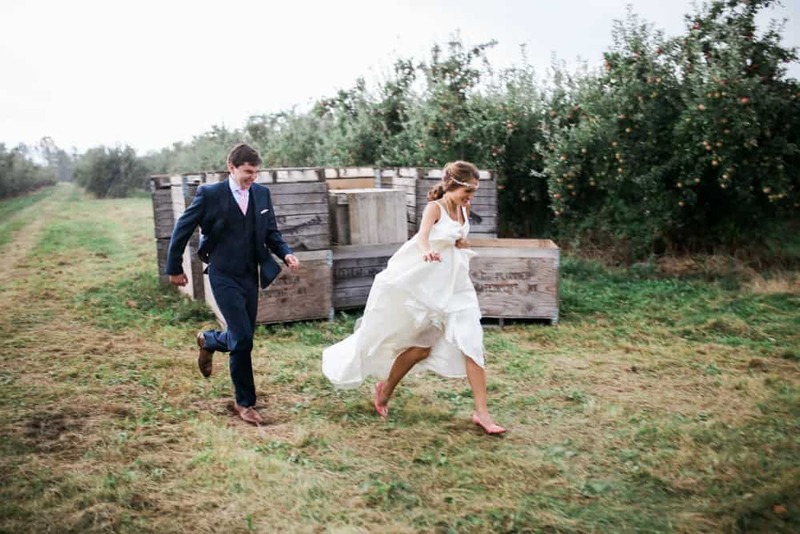 Now you don’t have to wear white overalls to match your outdoor theme, but it’s not necessarily the right place to pick a ballgown dress either. Believe me, I’ve seen it. 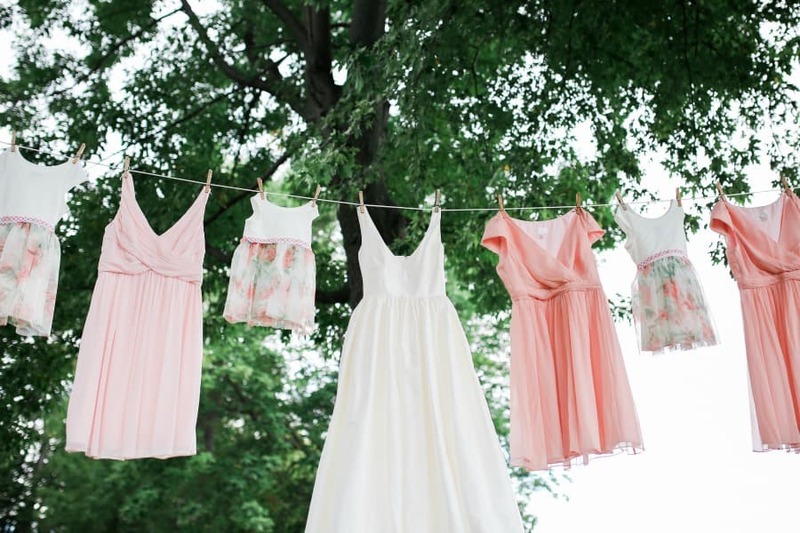 A flowing or simple dress fits in with an outdoor theme like butter on bread. It just works. Your pictures will make more sense and you will be more comfortable, too. 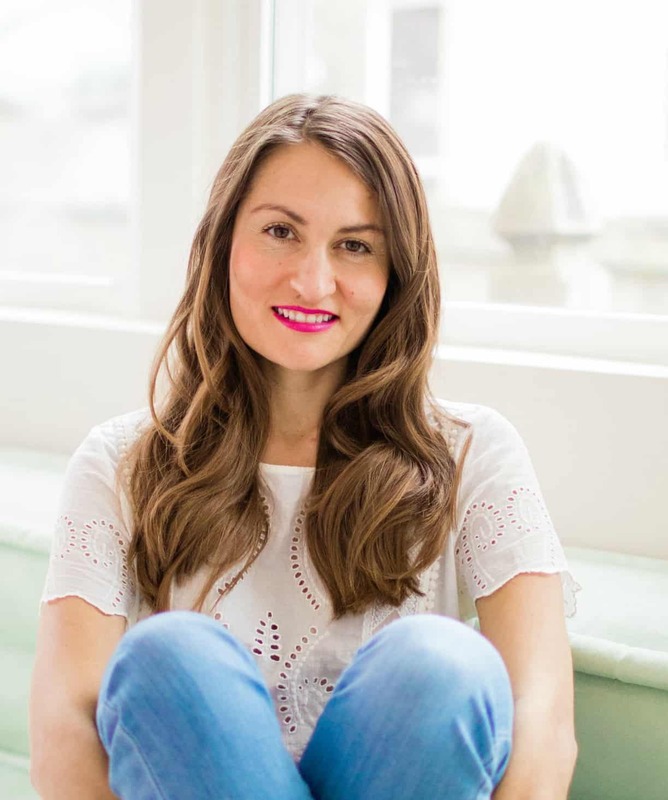 If you’re wondering what kind of makeup look to go with you will enjoy this post from a wedding makeup artist on how to look beautiful on your big day. 5.// Use Your Surroundings To Your Advantage! Friends, if you are in a beautiful outdoor setting, use it to your advantage. Face the lake/mountain/river for your ceremony. Plan your hors d’oeuvres outside so people can enjoy it. Set up a photo booth outside. While planning my wedding I wanted to hang picture frames from trees with the Lake in the background for cute “Instagram-ready” photos. We still ended up planning something cute inside, in case of rain though. 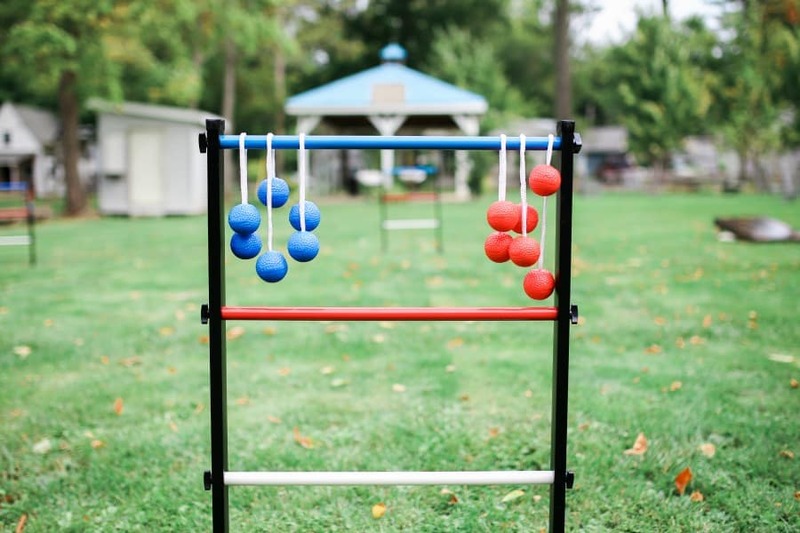 Set up lawn games like a giant Jenga set. How fun! But how fun would a paddle boat ride be at an outdoor wedding? Maybe it’s just me. Oh well. 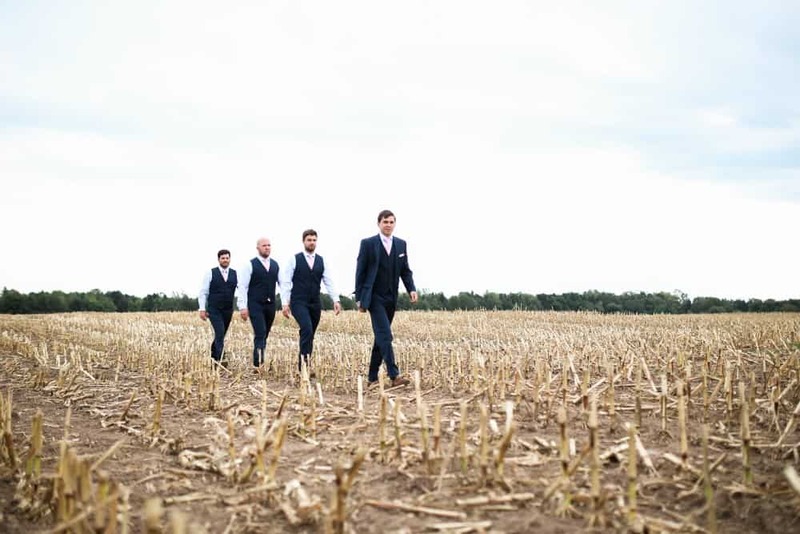 Speaking of outdoor weddings, check out this casual background wedding from Shifting Roots. Lastly, think about creative ways to display drinks or food to match the surroundings. Put bottles of water and special fun drinks in a canoe or old large tin buckets. 6.// Think About What Could Go Wrong. If your wedding is outdoors in the heat you should consider fondant so it doesn’t melt. Are there any issues with the season you picked? Who is going to move all the benches in, then out, then in again in case of rain (Thank you wedding guests and brother in law who did this for me!) What kind of sound system will you need outdoors? Etc etc. 7.// Be Prepared for Something to Go Wrong and Roll With It. I like to end on the story of it raining on my wedding day because that is every brides’ nightmare but I lived to tell the tale. SOMETHING WILL GO WRONG. Something won’t be perfect. Remind yourself of that before the wedding so it doesn’t come as a shock. 8.// Then Once It Hits – Roll With It. I briefly mentioned this above but we (well not me I was getting ready but someone) set up all the benches and decorations outside first. It rained. Some good Samaritans dried off the benched and moved them inside. I checked my phone and it looked like the rain may hold off a bit. They moved the benches outside again. Our photographer, however, took some pretty unique photos in rain puddles, and on top of that, the clouds were amazing that day! In that case, sometimes you do have to plan an outdoor wedding indoors. 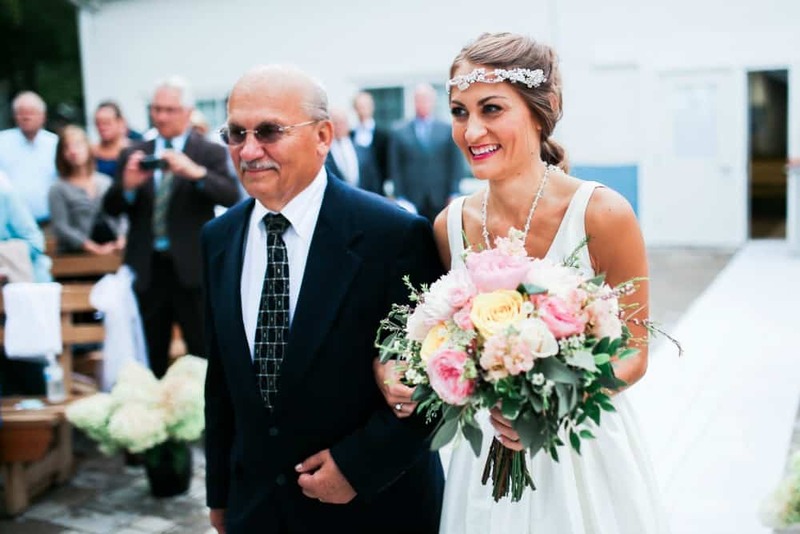 Oh, and when the wedding is over, here are 7 Places to Change Your Name After Getting Married. It took me almost two years to change everything over so hopefully, this helps you avoid many of the same hassles I did. Great suggestions! Ran can be SUCH a stressful thing when it comes to your wedding day! We got so incredibly lucky with our outdoor wedding! It rained during set up but it cooled everything down just right. These are great tips! Oh that worked out perfectly, then! This is such a great post. We also had an outdoor wedding and had a back up plan but luckily the weather held out for our day. I really think a lot of people overlook the fact that they need to think about the bridesmaid dress and being outdoors for the whole time. I know some people have these lavish ideas for their wedding but they don’t put everything into reality perspective so I think that is great that you brought that up. Yes! I’ve seen some very heavy, formal dresses at outdoor weddings. This is great. I love the think like a guest part. My ceremony was planned for outside and I wanted there to be no mentions of rain on my big day. 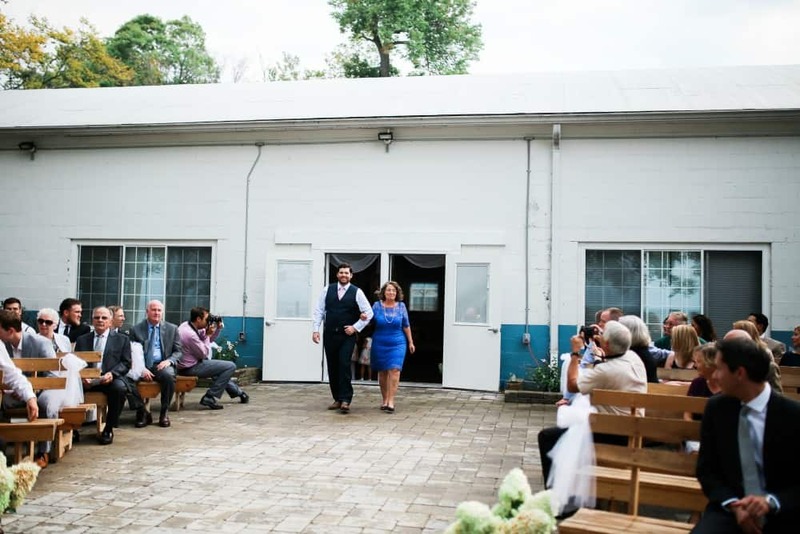 Then a hurricane happened to come along…I had a backup indoor plan, but I wanted so badly to have the ceremony outside. I waited until as late as I could to make the decision to move it inside. I think as long as the weather holds up…. aweee you looked beautiful and these tips are amazinggg!! 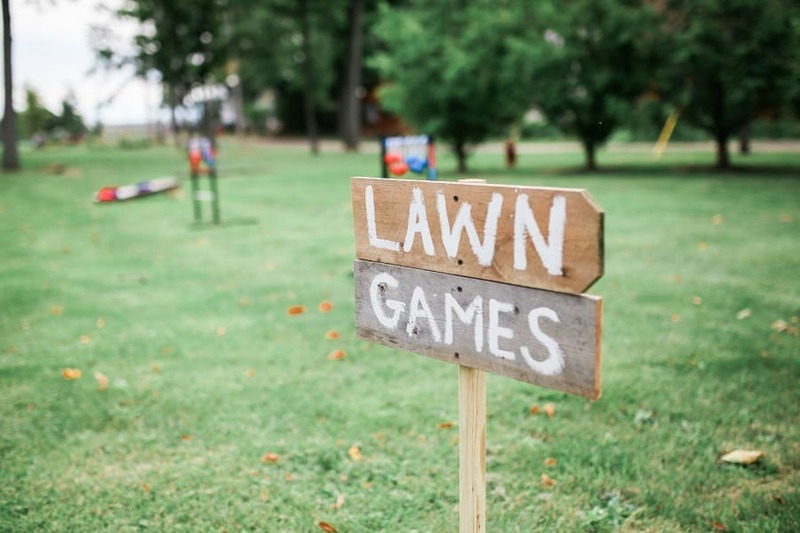 We had lawn games too, and loved using the outdoor space to bring everything to life! 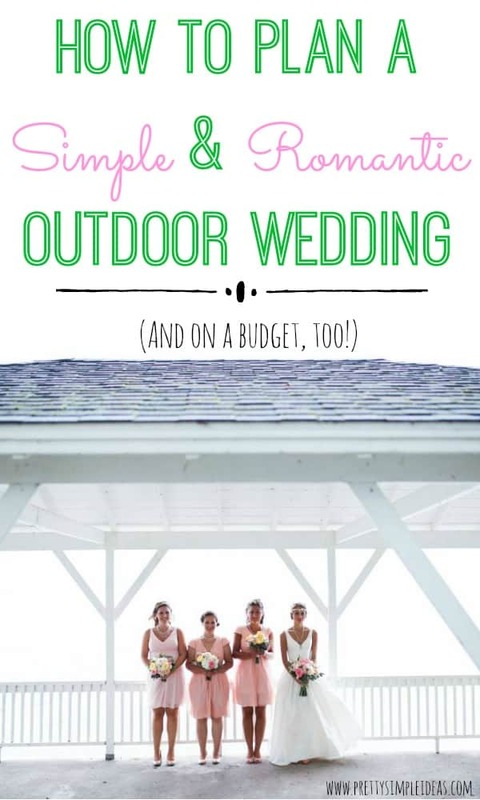 Great advice – I’m not quite in the wedding planning phase yet, but I definitely want my wedding to be outside if possible! I’m the MOH for my best friend’s outdoor wedding in October- this is perfect! I love the idea of lawn games, I ma e-mailing her right now about this! BTW, your wedding looks beautiful! I’m glad that I’m not the only person who had rain on their wedding. I originally wanted mine outdoors but my Mom talked me out of it and in this one specific case I’m glad she did. Even though rain on my wedding day was not what I wanted, we did get some super cute pictures with umbrellas. Just earlier I was reading through some boho wedding. Thanks for this informative article. I love the idea of outdoor weddings but it’s always a hit and miss with the weather… you make some great suggestions here! So much goodness! Yep, I had our ceremony outside and it was the perfect day, praise God. But it took a lot of prep! Oh yes, always does! So glad you had a beautiful day! I just became engaged a few months ago and we’re still deciding where in the world to get married, so this is really helpful to have because regardless of where we get married, if it’s outdoors I’ll need a good contingency plan in case of rain! Definitely. Good luck with your planning and congrats on the engagement! Such an informative blog full of useful tips, I think the things you mention do get overlooked on the big day. Thanks for sharing! The same thing happened at another wedding we went to. The rain stopped just long enough for the ceremony and then it went back to raining cats and dogs. I think it’s often more than luck. Such beautiful pics! 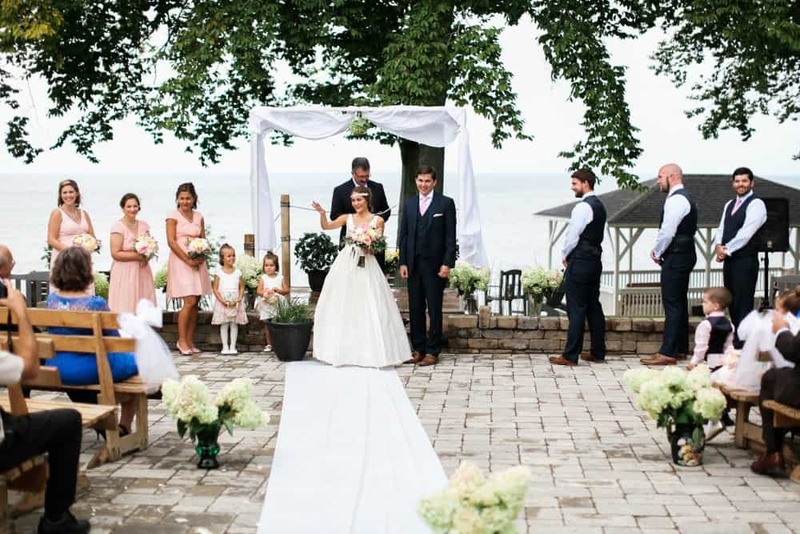 It’s stressful enough to plan a wedding in general, let alone an outdoor one. Great guide on how to plan one, love it! After reading this, how come Alanis haven’t thought of a back up plan??? !